I’ve got the blues and it’s beautiful. Sinking into the art of Yves Klein is like diving into a clear blue sea – and finding it’s far deeper and stranger than you’d expected. Below the luminous shallows are opaque depths and a terrible immensity. Fluorescent fish seem to dart out of underwater caves. The sea seems important to Klein. Some of the most haunting works in Tate Liverpool’s beguiling homage to this visionary artist – who died in 1962, at the age of just 34 – are natural sponges fixed to wooden panels along with a scattering of stones. The whole assemblage is saturated in blue pigment. It is like being a diver in the Mediterranean, looking at the rich and alien life on the seabed. 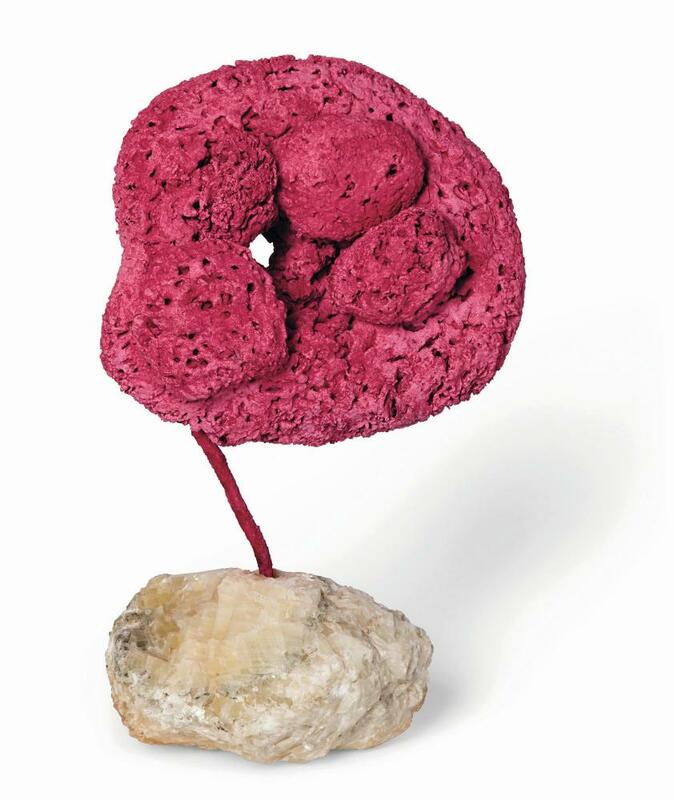 Klein also created sculptures by sticking paint-soaked sponges on wooden sticks held in stone bases. For variety, he sometimes stained the sponge rose instead of blue. These floating sponges are an absolute delight, cool and beautiful and yet so simple I am seriously tempted to make one at home. That would not be as easy as it looks, for Klein had a genius for intensifying colour. His earliest works in this lucid retrospective are small one-colour paintings that he started making at the beginning of the 50s and first exhibited in a Paris gallery in 1957, in a show called Propositions Monochromes. This was a revolutionary moment in art history. Across the Atlantic, the abstract expressionists were using colour in a completely free way. Their vision is superheated with sublimity and feeling, while Klein’s monochromes are passive, silent, even slightly comic, as if playing with the potential absurdity of making art about nothing. 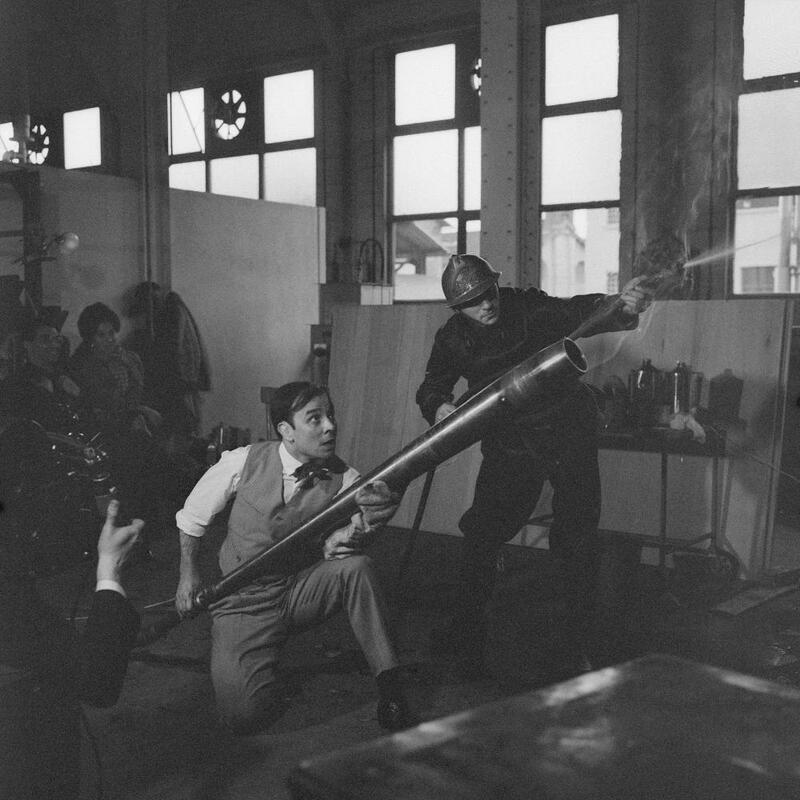 Inflammable material … Klein making a fire painting in 1961. Photograph: © Yves Klein, ADAGP, Paris / DACS, London, 2016. Centre Pompidou-Mnam/Cci-Bibliothèque Kandinsky-Fonds Vera Cardot Pierre Joly. His simplification of art to the most uninflected of gestures – putting one colour evenly on a surface – is like the revolution in jazz that Miles Davis announced in his 1957 album Birth of the Cool. Everything about Klein is almost ridiculously cool, including the formal suits he wears in all the nostalgic black and white performance photographs scattered through the show. Another Miles Davis album, Kind of Blue, sums up Klein’s next step. He fell in love with a deep ultramarine. Experimenting with chemistry, he perfected this radiant hue and patented it as IKB (International Klein Blue). Yet it is not just the blueness that is powerful. 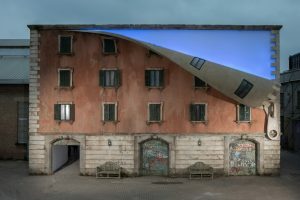 Klein devised a new method of suspending colour. Instead of using traditional oils, his paintings are made with raw pigment preserved in a specially developed synthetic gel. This is why they have lost none of their brightness and strength. The blue that saturates this exhibition is both repetitive and multitudinous. In some lights, it seems almost fluorescent. Up close, the blue is matt and rough, a suede-like surface. From afar, it is like a blue hole in the world. You could fall through it or dive in. Blue has a long history of religious and spiritual meaning – and Klein saw an affinity between his blue paintings and the ultramarine skies in Giotto’s frescoes in the Scrovegni chapel in Padua. Blue is also traditionally the colour of the Virgin Mary’s robe. 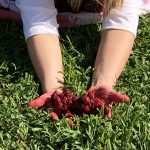 It is pure, heavenly and diving into it brings a release, a calm. This is therapeutic art. Yet Klein’s abstract immersions never leave the human body behind. His art was a physical performance – sometimes a dangerous one. His eerie Fire Paintings still have the whiff of mortal risk. He literally played with fire to make them, with firemen on standby and, it seems, joining in as collaborators. The scorched results look like brown and black images of cosmic events, black holes and nebulae, the shadow of an eclipse, the birth of the universe. Klein’s most notorious performance involved using naked women as human paintbrushes. Put like that, it does sound a bit sexist, but this was 1960. On film, you can see Klein, dressed like James Bond swanked up for the casino, directing the models as they smear paint on their breasts in front of a besuited all-male orchestra playing his Monotone symphony (a single note played for 20 minutes, followed by 20 minutes of silence). All right. It’s sounding more Austin Powers than Bond now – yet the results are not what you might expect. Far from crude imprints of female anatomy, Klein’s Anthropometry paintings are his most ethereal, dreamlike, poetic masterpieces. Bodies become blue echoes of themselves. The human form seems to melt before your eyes into a gentle memory, a ghost, a whisper. Flesh turns into spirit as you look. In the most captivating of these paintings, two huge blue fish seem to swim in the void. The imprints of breasts have become great eyes or the heads of hammerhead sharks, on swirling mermaid bodies. Klein, this magician who can turn flesh into soul, stands with Joseph Beuys as one of the great shamans of modern art. He is a mystic adventurer in the big blue. 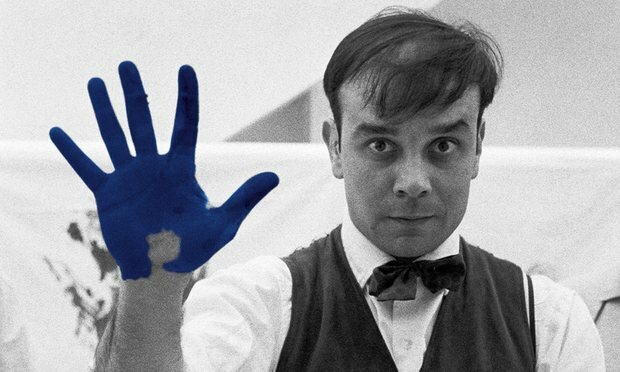 Yves Klein is at Tate Liverpool, 21 October to 5 March. 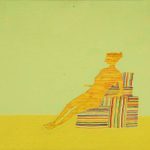 This entry was posted in EXHIBITIONS and tagged ART, art and design, Article, culture, Jonathan Jones, Liverpool, Main section, Painting, Reviews, Sculpture, Tate liverpool, The Guardian, UK Culture, UK news. Bookmark the permalink.